Last summer I refinanced my house. It was semi-painless, took several weeks and I got a major reduction in my interest rate. But what does this have to do with quilting? During the whole refinancing process, I was sent emails and received phone calls, whenever anything was done, needed to be done, documents received, documents or papers being sent, etc. Sometimes it was almost annoying, but most of the time it was reassuring. I KNEW what was happening at any given time during the refinancing process. I kept thinking, how can I apply this to my machine quilting business? After doing some thinking about this, here is what I have been doing the last few months. After working a bit on a customer’s quilt, I take a photo (or two or three) of what I am doing. I send it to my customer attached to an email letting her know that I have started working on her quilt. If the quilt is large or is going to take a longer time, I will send other emails along with more photos of my progress. Then, when the quilt is completely finished, I take a photo of the completed project (I usually hang the quilt outside on my clothesline for a full view photo). Again, I send that photo to her telling her the quilt is completed and is ready to be picked up. I have received many nice comments about this from my customers. They really seem to enjoy getting the photos and updates on my progress. They especially enjoy receiving the full view of the completed quilt. If you are working on a “quickie” quilt, you may not want to send a photo in the morning and then tell your customer that the quilt is completed a few hours later. You may want to wait a day or two before sending word of the quilt being finished. If you have the customer that, after sending the first email, calls you repeatedly to know when her quilt is finished – I may not send a photo to her until the quilt is completed. You have to make the decision on what works best for your “unique” customers. Does this add a little more computer time to your business? Yes it does. But, what are you gaining in the realm of customer service? What if you are the only quilter in your area that does this? Will this set you apart from the competition in your area? Yes it will! You can use this as a marketing tool and state on your brochure/website/blog that you send quilting updates when working on their projects. Also, tell your customer you will be doing this when you are doing your initial quilting consultation. I am working on a quilt right now that is going to be completed way ahead of schedule. 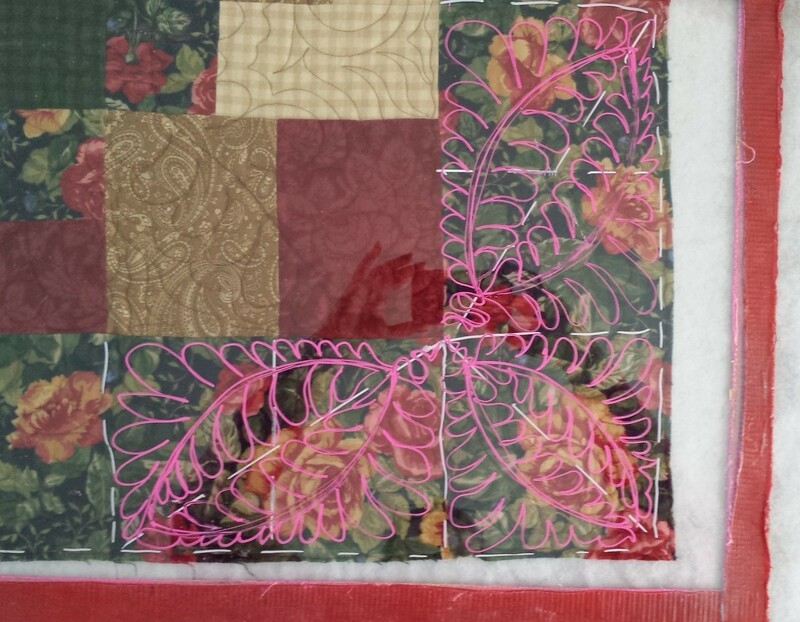 I have sent photos and an update letting my customer know that her quilt will be ready a couple of weeks early. On the other hand, if, for some reason, you get significantly delayed working on a specific quilt, send an email and let your customer know what is happening. Maybe you can tell your customer that their quilt is “number X” in line to be quilted. Again, you have to make the decision as to how much informaiton you need to give to your customer. Sendng emails and photos is a relatively simple way to keep your customers informed of your progress. If you have any thoughts about this, please leave a comment. If you have any other ideas on how to keep in touch with your customers while you are working on their quilts, please leave a comment.